Rosh Hashanah, the Jewish New Year, brings with it renewal on the personal, spiritual, and community level – and in Israel, also on the political one. Local elections will take place October 30th and religious pluralism activists around the country have been gearing up for that day for months. One of those activists is 39 year-old Ofri Vainer, a member of the Shatil-led Free Cities Forum, which promotes a pluralistic agenda in Israel’s cities and towns. Vainer is the granddaughter of a man who worked to find and return Jewish children hidden during the Holocaust. He later immigrated to a kibbutz in the Negev. Vainer grew up with a strong secular Jewish identity in a kibbutz home that celebrated Shabbat and a deep love for the land of Israel. This led Vainer to have a unique experience at the age of 20. As a Jewish Agency camp counsellor in the Ukraine, she met people who questioned her connection to the Jewish people. The experience inspired her to join a Hebrew University program that trained teachers of Judaism for the secular schools. Vainer comes to her activism from a place of deep commitment – and pain. When her eldest child started first grade two years ago in a secular school, a Chabad rabbi was invited to bless the children, who were asked to bring yarmulkes and tallitot for the occasion. She was amazed – and angry. Vainer later learned that many of the schools in her town entrusted their Jewish studies in the hands of Chabad and other religious organisations. In the future, she wants to establish a platform for state school principals that will make accessible pluralistic and humanistic resources for Jewish education. 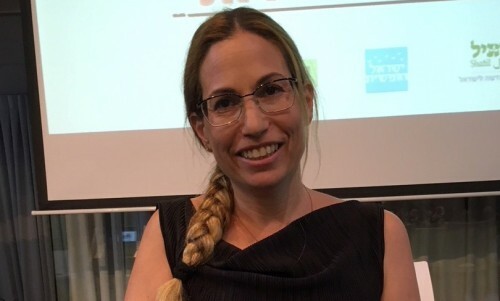 Vainer has been active in Free Rishon, a group of parents working to guard against the “missionizing” by these organizations in Rishon LeZion’s schools and for a pluralistic city. “Shatil meetings and trainings taught us to define our goals, to be efficient and tolerant, to work as a group, to work with the municipality and the media. They connected us with a supportive national community,” says Vainer. In July, Vainer addressed “100 Days to the Elections,” a Shatil gathering of 50 Free Cities Forumactivists who strategized ways to get pluralistic issues on the agenda of municipal candidates and to get out the liberal vote. Only 50% of the secular public votes in these elections as opposed to 90% of the Haredi public in many places. Political commentator and Israel Prize laureate Nahum Barnea praised the Free Cities Forumrecently in Yediot Achronot, for helping to raise the subject of secular rights to the top of the election agenda in many communities.